FRESNO, Calif. (KGO) -- A Bay Area man, who now calls the Central Valley home, says he escaped an apartment fire with his kids. But once everyone was out safe, he went back for one more thing. "First thing, I got my kids. I thought about my ribs. I'm not going to let my ribs burn. I take pride in what I do. It was 3 a.m. and I was hungry," said Robert Wright. 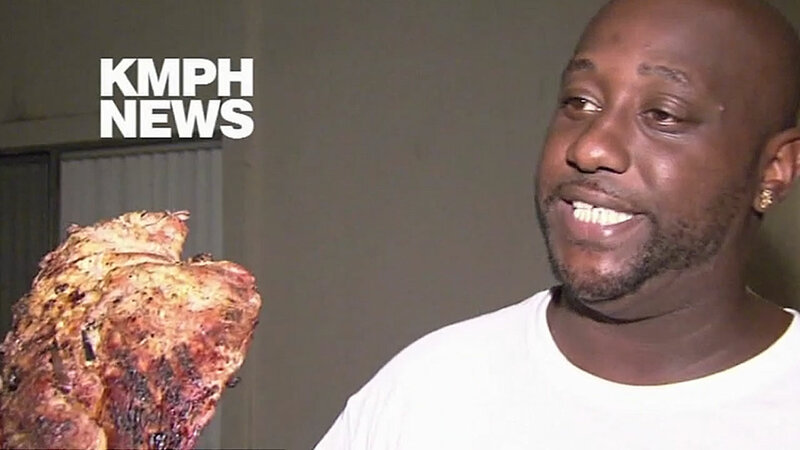 Wright, who grew up in West Oakland, says he was barbecuing ribs when he noticed the fire next door.